Laurent Schark Feat. Darren Ellison "One Of A Kind" will be released 19th January on Dominium Recordings and we kindly requested Laurent to answer our interview and his answers are definitely must read for any electronic music lover. Laurent Schark: I started more than 24 years ago, back in the day, I was only djing house & techno music and playing keyboards (mainly funk, jazz, soul). As years were passing by, I had the strong will to produce music I would be able to play in clubs. It all converged early 2000's to house and disco house music, which are the genres I love to listen, to produce and to play in clubs. Dimitri: Did you had the opportunity to attend any kind of music production course or are you completely self taught? Do you consider that is essential for any artist to complete any production course? Laurent Schark: I started on my own, like most of us I guess ;) Then when I lived in Paris, I met amazing sound engineers who helped me a lot in music production in studio. It was not an official course. I didn't pass any exam for that. But those guys opened my eyes a lot in terms of mixing and approaching the "sound" in general. Today, I still use some tips they taught me, but am still learning everyday, as the technology evolves. You can easily get your hands to music production only with a laptop. If you want to go deeper, you may need some extra time with pros. Most of all, you need a good and comfortable studio with good monitors and solid acoustic to educate your ears properly. Laurent Schark: That's an easy question haha. It was called Evolusound Records and was the label I founded with my best friend back in 2005. My first official release is called "Movin" Featuring Jodie Cooper. It tells my story when I moved to London. Dimitri: Please pick for us your Top 5 tracks that you have produced and you consider them as being highly important for the progress of your career indifferent if they were commercially successful. Dimitri: Let's focus on your latest release. Please tell us from where did you got the inspiration for the track One Of A Kind ? Laurent Schark: In November 2016 I heard "I feel it coming" by the Weeknd & Daft Punk and I was thinking "Damn, that's a hit, I wish I had produced a track like this". Dimitri: How long did it take you to produce it and was it an easy or difficult process?If you have faced any difficulties please tell us about them and how did you resolved them? Laurent Schark: I got to work and started an original production inspired by the direction of that Daft Punk's tune. I was telling myself "If I can reach 80% of the level of the Daft Punk's quality, I'll be super happy". It took me a lot of time to listen to their song, learn, write, mix, improve every single element in the track. I tried it in clubs many times, compared it with that reference track, I wanted this song to be the most solid in terms of production and sound quality I had ever reached. I finished the production in November 2017. Yes, a year of thinking, playing, tweaking and completing. Laurent Schark: The biggest challenge is for me, always "Would people like it? Would radios play it? Am I following the right direction?" I would say that I didn't stumble on any obstacles, it was more a psychological journey. I can tell you I made at least 20 different versions of this song before I considered the final one... final. Dimitri: Can you describe to us the steps that you went through the production of this track and of any other track? Dimitri: When the track finished did the label accepted it as it was produced or did the label recommend you to do some changes or fix certain things? Laurent Schark: Once again, I had to chance to release it on my own label, which I manage ;) However I had a lot of recommendations from friends and professional producers who helped me A LOT. Dimitri: Is this track an original composition or is it based on a template from another track produced from you or another producer? Laurent Schark: it is 100% original. Laurent Schark: It is definitely higher, I really worked a lot to reach this quality. 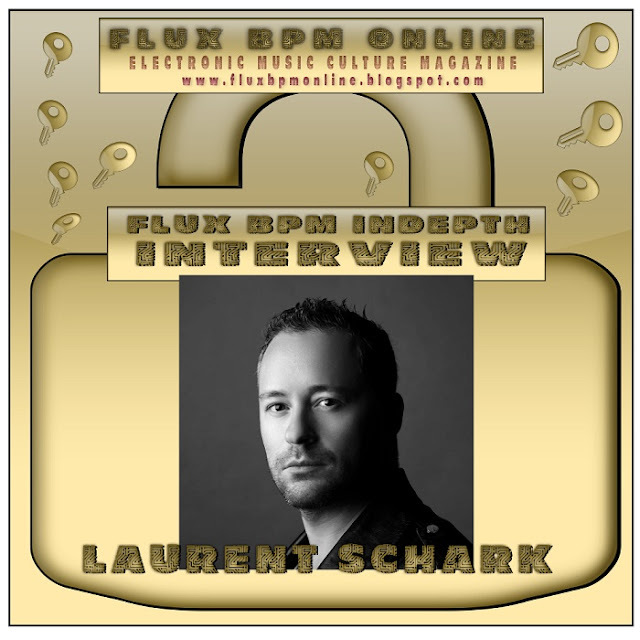 Laurent Schark: Definitely, friends are always the first ones to listen to the track, then the crowd in my clubs. It always leads to modification, either in the sound itself or the structure (you want to remove the long and boring parts). I would say the club is the best test. Dimitri: Do you master the track yourself or the mastering is task for the record label? Do you understand mastering as being essential? Laurent Schark: I'm a mastering engineer myself. I do mastering on a regular basis including for major labels (Sony, Universal). Mastering is a science on its own and should be taken with highest consideration. I do the mastering always a few days after my mix, so I have enough to "forget" about it. Dimitri: Are you going to release any remixes on the tracks soon? 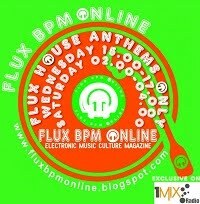 Laurent Schark: This release doesn't contain remixes yet, but there will be 3 remixes soon. I haven't heard them yet apart from one, and it's massive ! Laurent Schark: Yes I have 2 other singles planned within the next 5 months. Dimitri: Please mention to us your Top 3 best DJ gigs so far and the reasons that made them so special? - My gig at Gibus Club in Paris in 2004 for a student party. Vinyl and House music only. It was one of my best sets and best crowd. Dimitri: Do you produce a radio show/podcast as well? Please tell us here all the details about it. 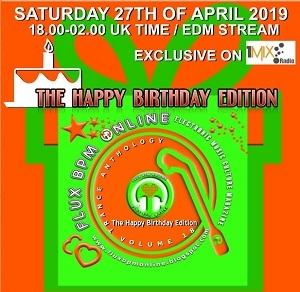 Laurent Schark: The Laurent Schark Selection is a weekly radio show broadcast on more than 140 radios across the globe. It is currently the largest syndication. Dimitri: Best piece of advice you got in relation to your career so far and best tip you learnt recently to make your tracks better. Laurent Schark: My piece advice is don't listen to advice too much, especially from non-artistic person. Do your thing and do it well. Patience would be my best piece of advice. Impatience kills artists. If you're patient, and really focus on your music, this will pay off. Dimitri: Please give us here your tips or more elaborated advice for any new artists who may read this interview and wish to get involved with the electronic music industry. Laurent Schark: The music industry in general is a tough business but there's room for everyone who has a good attitude and gratitude. 50% of your work will be your music, 50% will be your connections. So, produce your music, then get out of your room, connect with people, attend conferences around you. I learned it quite late that connections were extremely important in this business. I was a dreamer and thought "I release good music, people will find me". No, it doesn't work that way. PRODUCTION+CONNECTION is the good recipe I think.